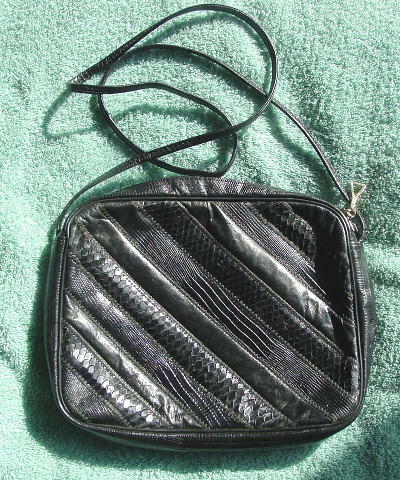 This vintage black snakeskin and embossed reptile purse is by David Mehler for Dame. It has leather, snakeskin, and faux lizard diagonal alternating strips on the front. The back, sides, top, and bottom have an embossed lizard pattern. The interior has a black vinyl lining with a zippered pocket. It has a 44" long shoulder strap. 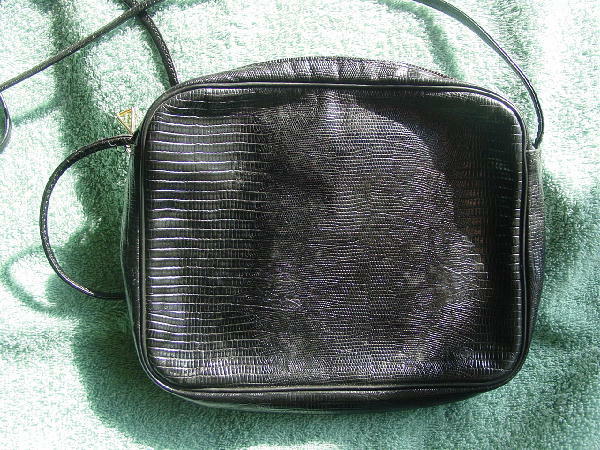 The front interior of the zippered pocket has some age spots and red marks. The top side to side zipper has a gold-tone pull. It's from a former Chicago model. She wore it from daytime into evening.